According to immemorial Indian tradition, the universe is founded on two principles. One is rita, rythm, or regularity. ... 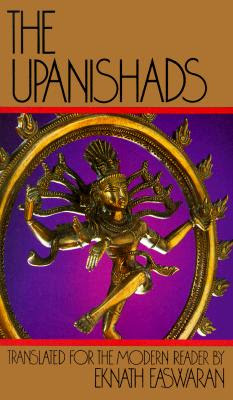 The sages of the Upanishads banked on this principle, and came up with the most orderly and comprehensive description of reality known to human culture. The second principle is yajna, sacrifice. If rita is the moral law, within and without, yajna is the human response to live in accordance with that law... So important is this principle to human functioning that the Chandogya says simple, "Man is sacrifice" (III.16.1). I.I.2 For as the earth comes from the waters, plants from earth, and man from plants, so speech is the essence of the Rig Veda; but Sama is the essence of Rig, and of Sama the essence is OM, the Udgitha. III.14.1 This universe comes forth from Brahman and will return to Brahman. Verily, all is Brahman. Chapter 4 tells the story of Satyakama, and Chapter 6 the story of Shvetaketu. VI.8.1 "Let us start with sleep. What happens in it? VI.8.7 There is nothing that does not come from him. Of everything he is the innmost Self. Sanatkumara, "names of infinite phenomena. joy because it is not subject to change. Therefore seek to know the Infinite." covered by what is false. sleep but never find it, carried away by a what is false. To the Divine Dark I pass again. The pure realm of Brahman. Truly I shall not be lost again.